By Jake Rocheleau in Hosting. Updated on April 9, 2018 . The Internet has expanded so quickly in just a couple of decades. This growth has also accompanied a tremendous uptick in technological advancement allowing Internet speeds to increase while server costs have dramatically fallen. I’m sure by now most of you have heard about hosting your files “within the cloud”. 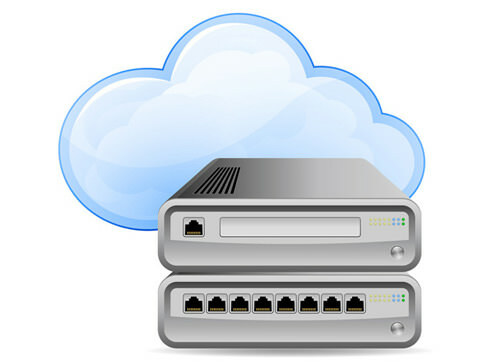 More advanced hosting companies have begun to offer cloud hosting solutions. But what does this really mean? I’d like to spend some time looking further into the details of cloud hosting. How do you end up with a server cluster managing as a complete web host environment? How much do these generally cost? And is the cloud really where the future is taking us? Many of these questions can be answered with just a bit of information. Let’s first break down this idea of the “cloud” into more friendly terms. In the long run it’s also a much cheaper solution than virtual or physical server plans. And since not every customer needs a server setup you can take on additional charges as a Content Delivery Network(CDN). Customers only pay for the bandwidth they use to deliver images, streaming music, and other large media files. Utility computing as this is referenced gained a lot of popularity from Amazon Web Services. The most popular book seller on the Internet made a huge decision in 2006 to begin constructing a cloud-based server environment. The whole company placed a large investment into this technology and it paid off handsomely. Now the AWS brand products are seen everywhere and power hundreds of thousands of websites. What makes Amazon different than other cloud-server providers is their progressive business structure. When setting up an AWS account you will only be charged for the amount of space required for your files. Such a scenario is similar with their Simple Storage Service(S3) where you can externally host your website data and quickly scale with increasing traffic over time. Even better is the CDN counterpart known as Amazon CloudFront. It’s a web service built for speedy content delivery so you may outsource a lot of that computation from your own server. For full web hosting you should turn your attention towards Elastic Compute Cloud(EC2). Their services are certainly not for everybody but will fit perfectly with a small/medium business or startup. The staff is always reliable and you aren’t over-paying for server space which isn’t used. The biggest downside is that you must understand server management and provide routine maintenance. The Amazon staff is always on hand to help, but ultimately you are responsible for updates to firewalls, Operating System patches, security bugs, etc. You need to understand how to setup and run a web server to get any real benefit from EC2. I recommend skimming over this EC2 web server thread which provides a solid list of pros/cons for developers. I’d like to offer just a couple examples of popular cloud-based apps which have come out in recent years. 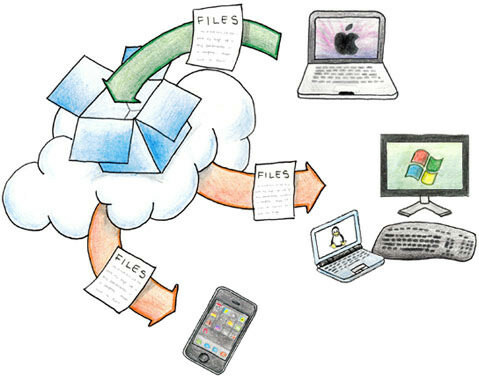 The Internet has become a digital storage medium for transferring files all over the world. In one way this can be described as a move into the cloud and away from the limitations of physical devices. You can tell just by the sheer power of these resources that developers are getting serious about cloud hosting. The computation power of multiple servers is one such idea. But in-browser apps with free file storage and data manipulation are beginning to dig their nails into some of the largest software companies. This just may be the start of a huge revolution in the whole technology industry! I was originally a huge fan of Gmail when Google first put out the service. With each account they included about 2GB of free server space for e-mail attachments. Now the company has taken another step forward building the Google Docs engine. Even five years ago the Microsoft Office suite was the most powerful desktop software for document processing, spreadsheets, slideshows, and other powerful media. Kids in high school and college have grown up writing their essays in Microsoft Word. With the public release of Google Documents anybody with a Google account can begin storing docs into their own private cloud space. You have the ability to further organize these files into folder directories with are labeled collections. Even better the whole service has built-in functionality for uploading documents into your account and even exporting via a variety of file extensions. Exports are limited at 2GB per batch and include support for HTML, PDF, RTF, MS Word, and a few other options. This makes Google Docs the most open and supportive protocol for professional document editing – and it’s completely free! I remember building websites back in 2006 where my partner and myself would frequently have to exchange files between computers. Back then it was much easier to utilize our USB flash drives since there were not nearly as many resources on the Internet. Yet today we practically have a smorgasbord of options to choose from! Dropbox is a service which has been getting the most popularity in recent publications. It has a real simple install process which behaves as a network drive connected to your own personal space on their servers. Free users are given 2GB to start with and you can always purchase more space. I feel that Dropbox does work well enough, but I personally love the simplicity of CloudApp. Plus bonus points for the trendy topic-related name! CloudApp actually runs through Amazon S3 hosting while providing a simplistic web user interface as the go-between. Not only desktop & laptop computers, but CloudApp’s API developer documentation is phenomenal and has led to a few mobile apps for iOS, Android, and BlackBerry phones. Mac OSX users can also check the App Store for a download/upload utility which connects right into your account. CloudApp is a much more recognizable solution for your average Internet user. Amazon services can get confusing to the less tech-savvy who don’t really need all their fancy applications. CloudApp simplifies the whole process and even offers very generous portions with their free plan. Additionally each upload is provided a unique short URL for sharing files to friends and colleagues. 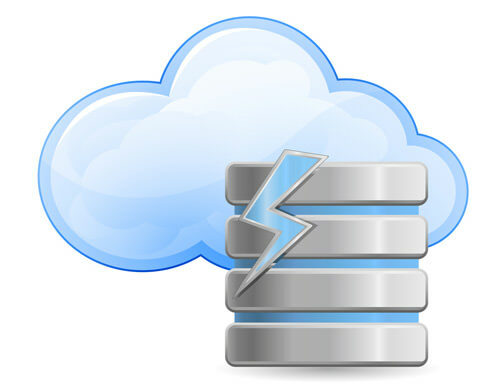 These applications provide just a small outlook towards the many prospects of cloud hosting. As web developers become privy to the details of building scalable environments the cloud-based server structures will begin to revolutionize the Internet and web design. Just imagine the possibilities of running a Photoshop or GIMP-like application directly within your web browser. Your computer or laptop would not be using much of its resources at all, since the computing power would be outsourced into servers within the cloud. We already see this setup with e-mail services, photo editing, and definitely instant messaging. To further your knowledge and understanding about the cloud I recommend hitting Google with some specific questions. If you’re more interested in hosting your website within a cloud environment check out this great review article covering some of the top-tier cloud hosts. I’ve additionally added some reading material below which you can peruse through at your leisure. What does it take to setup a Cloud? Cloud hosting is the most notable improvement to physical server farms that we’ve ever seen. Unfortunately the knowledge required to build such a setup is still very archaic, but it’s gaining momentum quickly. 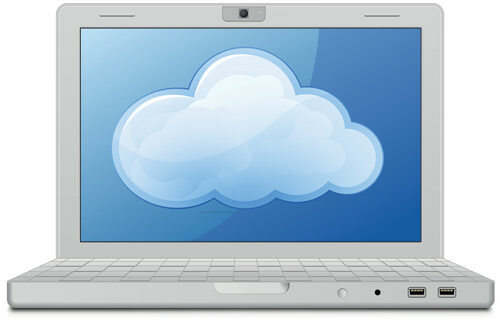 The mainstream tech sphere is booming with news about cloud computing and its massive efficiency in energy consumption. I hope this article has explained some of the more confusing ideas surround the mystical “cloud” of web storage. Our whole Internet is based on a similar cloud model which has worked well even into 2011. What the future will bring I cannot say. But I am excited to experience these innovations and see what the next generation holds.